“The work here is very meaningful,” said Wang Li with a smile on her face. Five years ago, she was a worker in a toy factory in Guangdong Province. She had to work from 7:30am to 10pm every day. “I had to work overtime. It was very hard,” recalled Wang. But Wang is now a “Hai Gui”, which means overseas returnee. 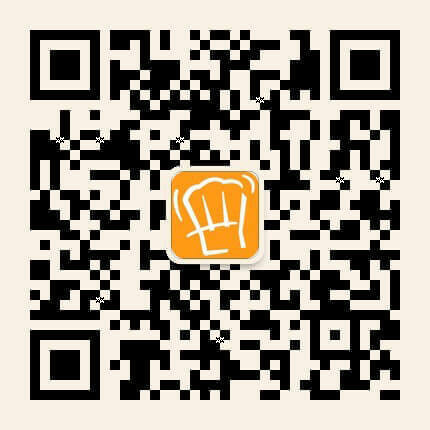 After joining Shanghai Young Bakers, she not only learned baking skills but also managed to go to France to further her studies. Wang Li’s mother passed away a long time ago and she was brought up by her father. Due to her poor family financial situation, Wang dropped out of school when she graduated from middle school. However, she always wanted to learn a skill and continue studying. Fortunately, Chung To, the founder of Chi Heng Foundation, met Wang Li in 2002. When Mr. To got to know Wang’s situation, he recommended SYB to her. At the beginning, SYB surprised Wang. “When I came here, I found I had so many classmates. We were impressed by the new dormitories . Our teachers were all French. We held the opening ceremony in a big hotel at Nanjing Road. Eventhe French consulwas invited,” said Wang. After half-year training in SYB, with Wang’s hard work, she was selected to further her bakery class in France with her classmates, Zhang Zhenghai and Xiao Jinjin. Although they had taken French classes sponsored by Alliance Francaise for half a year, it was still difficult for them to catch up the bakery class at first in France. But they were lucky to have friendly teachers and classmates in France. After each class, they would stay in the classroom and asked their teachers about the details in bakery until they fully understood them. Now, Wang is a qualified teacher in SYB. What she is most proud of is that her first batch of students have all found jobs in Shanghai. “I couldn’t imagine that I can teach in Shanghai five years ago. Actually I’m the same age as some of my students. I will feel proud if they accomplish something and will feel frustrated if they don’t.” Unlike her students who mostly work in bakeries and hotels after graduation, Wang hopes to stay longer in SYB and open a SYB bakery. “To me salary doesn’t define success. I want to work happily and help others. SYB influenced me a lot and it’s my family,” said Wang.